We would like to welcome you to our Arvada auto repair website. L & R Automotive is a well known and respected auto repair facility in Arvada Colorado and the Jefferson County area for our honesty and professional auto repair services that our staff and mechanics provide to our customers. Each staff member and mechanic in our Arvada auto repair shop takes pride in the excellent reputation we are fortunate to have developed with both our customers and the entire Arvada and Jefferson County area. Our shop is grateful that our customers repeatedly choose us for their auto repair and service needs and frequently send their friends and family to our Arvada shop for their auto repair and service needs as well. Each expert mechanic on our team understands that the very thought of getting an automobile repaired can make most people nervous. For those who are not savvy about auto repair or are uncertain whether or not the correct repairs are being performed on your automobile our Arvada auto repair shop is the perfect place for you because of the following reasons. As a team, we pledge to all of our Arvada and Jefferson County customers that we will not remove any part from a vehicle in order to complete an auto repair unless it is absolutely necessary. Additionally our Arvada auto repair shop promises to diagnose all auto repair problems in an honest and professional manner. Each mechanic and staff member in our shop strives to provide prompt and courteous service to all who visit our auto repair facility in the hope that you will come back to us for all of your auto repair needs. We also offer financing through www.MyCFSapp.com, which will let you know within the first 5 minutes if you are approved and has 0% APR when you pay off your loan within the first 60 days. We are now a certified repair shop on RepairPal.com. To get an estimate on the repair your car needs please click here and then give us a call so we can schedule an appointment. Do you like saving money? Us too! Head over to our specails page and sign up for our rewards program now. L & R Automotive invites you to take advantage of our easy 24/7 online scheduling! Simply complete and submit the appointment form to schedule your repair. L & R Automotive offers our customers in the Arvada area nationwide protection. Our warranties are among the best in the automotive repair industry. L & R Automotive is always interested in hearing from qualified individuals seeking employment at our Arvada automotive repair shop. If you are interested in joining the L & R Automotive team we want to hear from you. 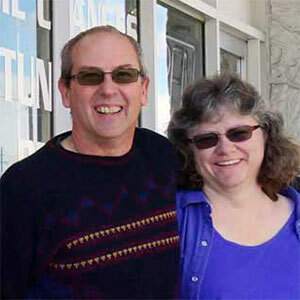 L & R Automotive is pleased to introduce our valued team of automotive repair & service specialists. 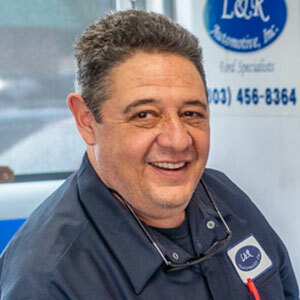 Our staff is dedicated to ensuring our customers get only the best auto repair in Arvada, at the right cost, and to their complete satisfaction. I have been an ASE certified Master technician for 20 plus years. It has always been a dream of mine to own my own shop. In September 2015 that dream came true when my wife and I purchased L & R Automotive from Vic and Alison Lively. We wanted to make a difference in the automotive industry by offering honesty and integrity while offering value to our customers. We feel that helping out in the community is important as well. Our motto is treating people the way we would like to be treated. I enjoy camping, fly fishing, hunting and volunteering with Boy Scouts. Aubrey loves to camp, hike, read and spend time with her family. Aubrey has had the privilege of working with her father since March of 2016 and is happy to help with any questions about your vehicle. David moved to Colorado from Iowa in 2017. He started out working as a technician, but after two years started service writing. 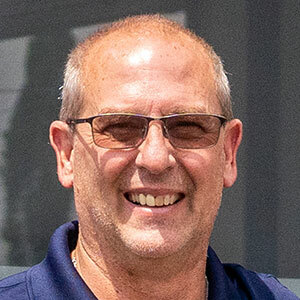 David managed the serivce department for Stivers Ford and Lincoln in Iowa and other automotive shops between Colorado and Iowa. He is very knowledgeable in the automotive industry. Kory and his family moved from Georgia to Colorado in 2017. While in Georgia, Kory owned his own shop and has a lot of experience with Lexus and Toyota. In his free time, Kory spend time with his family and enjoys teaching his family about vehicles.